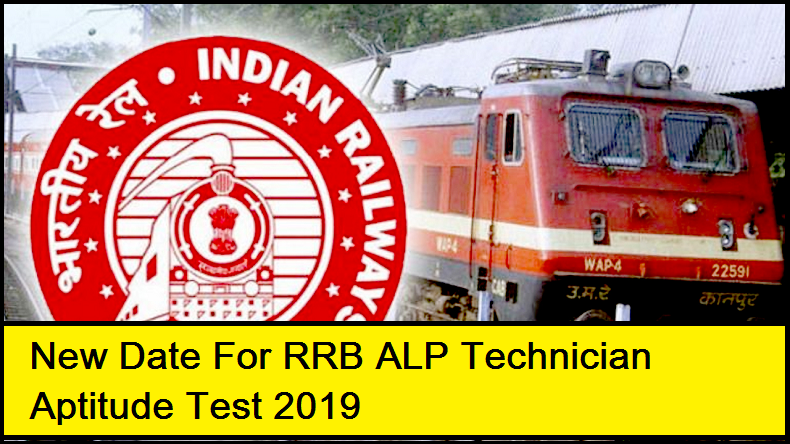 RRB ALP Technician recruitment 2019, check new date for RRB ALP Technician aptitude test: The RRB has postponed the RRB ALP Technician aptitude test 2019 which was scheduled to be held on April 16, 2019. Below are the new tentative dates for the RRB ALP Technician aptitude test 2019. RRB ALP Technician recruitment 2019, check new date for RRB ALP Technician aptitude test: The Railway Recruitment Board (RRB) has postponed the RRB ALP Technician Aptitude Test which was scheduled to be held on April 16, 2019. According to reports, the RRB is likely to conduct the RRB ALP Technician aptitude test 2019 in the 2nd or 3rd week of May. These dates are tentative and the Indian Railways Recruitment Board has not made any official announcement yet. The new date of examination will surely bring a smile on the faces of thousands of candidates who have been waiting eagerly and were all set to attempt the examination. A few day ago, the RRB had issued a notification on its official website announcing the postponement of RRB ALP Technician aptitude test 2019. The reports say that after publishing the result of the first round, many regional RRBs received complaints from the candidates about pertaining to answer keys, evaluation of actual score and Normalisation. Taking cognizance of the matter, RRB postponed the next level examination RRB ALP Technician aptitude test. Reports suggest that the RRBs have decided to once again check the correctness of final answer keys and evaluation. After the completion review process, RRBs will share the final keys of some questions along with the revised result. The candidates are advised to keep a close eye on the RRB’s official webistes according to their region. The Railway Recruitment Board (RRB) was earlier known as Railway Service Commission, which was renamed in January 1985. The RRB has regional offices all across the country and its headquarters is situated in New Delhi. The RRB selects and hires eligible candidates for vacant posts in the various departments of Indian Railways.